Despite what a cynical music press - or perhaps your local neighborhood record store clerk - may tell you, jazz is not dead. But for the sake of argument, if jazz were in intensive care, 37-year-old Kamasi Washington would be the one to resuscitate it. Sure, Brad Mehldau, Robert Glasper, and Esperanza Spalding are among the stunning talents continuing to make crucial inroads in the genre, but Washington is clearly ahead of the pack, simultaneously forging ahead with new ideas while keeping a firm grip on jazz's roots. Working along the same stylistic lines as his last full-length release, 2015's The Epic, Washington's latest effort, Heaven and Earth, is a sprawling musical statement that clocks in at two and a half hours, spread across two CDs or four vinyl records. Split into two sections, Earth and Heaven, Washington explains that "The Earth side of this album represents the world as I see it outwardly, the world that I am a part of. The Heaven side… represents the world as I see it inwardly, the world that is a part of me." Grand designs aside, the entire album flows together rather effortlessly (if anything, the Heaven half has slightly more of a celestial bent). As on The Epic, Washington employs a massive arsenal of musicians on Heaven and Earth, including his own band the Next Step as well as members of the long-running collective the West Coast Get Down. Beyond the normal horn players, keyboardists and rhythm sections, there's also a pair of lead vocalists, a chorus, and an orchestra. Hardly a small club combo, the band tackles all manner of jazz pursuits, and does so with astonishing ease and skill, thanks to Washington's masterful compositions and arrangements. Washington's own songs make up the bulk of the material, with notable covers including a frenetic take on Freddie Hubbard's classic "Hub Tones", and the opening track, "Fists of Fury". The latter, the theme song from the classic Bruce Lee film Fist of Fury (pluralized by Washington), is an exceptionally powerful and dramatic opener. Extended solos are intertwined with the vocals of Patrice Quinn and Dwight Trible, and the lyrics are an urgent declaration message in the age of Black Lives Matter: "Our time as victims is over / We will no longer ask for justice / Instead we will take our retribution." But the vocals, as welcome as they are within the overall scope of Heaven and Earth, largely take a backseat to the knotty time signatures and intense instrumental soloing. That isn't to say that the solos are long-winded and aimless; if anything, the tightness of the band, not to mention its ability to effectively swing and groove in equal measure, will likely bring even the most stubborn jazz skeptics into the fold. It's hard not to be won over by the manic bliss of "Can You Hear Him", particularly keyboardist Brandon Coleman's dizzying, retro-synth solo. But on songs like "Connections", the pace is slowed down to a gentle groove, with the occasional choral section adding a dramatic element, and Coleman's distorted guitar-like keyboard solo channeling 1970s-era George Duke. Fans of classic R&B will find a lot to appreciate on tracks like the shimmering "Testify" (with lyrics co-written by Quinn). The song brings the album down to earth with a soulful edge as Quinn's gorgeous pipes are front and center, and the solos are mostly limited to some brief sax bursts from Washington. Quinn's vocals are given a more unusual (yet still breathtaking) treatment on the Latin-tinged "Vi Lua Vi Sol", fed through spacey, distorted effects, giving the song futuristic, yet seductive edge. Ryan Porter's trombone solo is another one of the song's highlights. There are times when Heaven and Earth tends to wander into areas that can't be constrained by jazz, funk or soul – take the aptly named "Space Traveler's Lullaby", which opens the Earth half. A giant, lush thing of beauty, with a chorus and orchestra combining to create something like an old Hollywood film score composed by Donny Hathaway. But jazz seems to be the overarching stylistic theme. "Song for the Fallen" – featuring former Washington bandmate Thundercat on bass - is another successful excursion into the stratosphere of jazz-fusion, with the twin-drum attack of Tony Austin and Ronald Bruner, Jr. (not to mention percussionists Kahlil Cummings and Allakoi Peete) egging on both the intense solos and ever-present chorus. The song seems to take its time reaching the finish line, as if the musicians are so caught up in the groove that they simply refuse to stop playing – you can almost picture Washington in the control room, waving the proceedings to a halt as he eyes the slowly dwindling tape supply. Other highlights include the irrepressible funk workout "The Psalmnist" (composed by trombonist Porter), the freewheeling, tumbling "Tiffakonkae", and the closing opus "Will You Sing", which brings the entire cast together for extended solos and a final choral section that manages to make Heaven and Earth seem like something of a religious experience. Heaven and Earth is a lengthy album, and one that refuses to shortchange the listener. There is a wealth of ideas on the table here. It takes a musician, composer, and arranger of Washington's caliber to take these ideas and form them into a brilliant collection of performances. 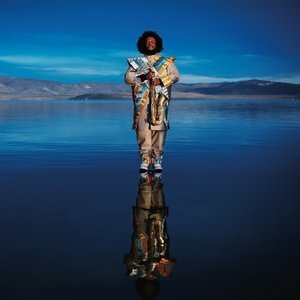 Kamasi Washington is jazz music's brightest light – may he continue to burn for a long, long time.